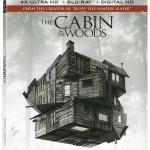 The Cabin in the Woods 4K Ultra Blu-ray was an exceptional rated R watch and will be available on September 5th. The Cabin in the Woods (2012) is the product of the combined writing efforts of Joss Whedon and Drew Goddard. These discs are packed with extra behind the scenes footage with real commentary from the cast, Joss Whedon, and director Drew Goddard. For all of you that love the Blu-ray / DVD extras, these are exactly what you were hoping for in bonus features. Check out the long list of Blu-ray bonus features below, and it is clear to see, this Blu-ray release is for the fans, and I love it! I literally spent hours watching the bonus features. The Cabin in the Woods is a modern cult classic with a few twists that revolve around a few teenagers who decide to spend their school break at a secluded cabin in the woods. The teenagers did not take long to discover that things are not what they seem and they are for more than they bargained for. 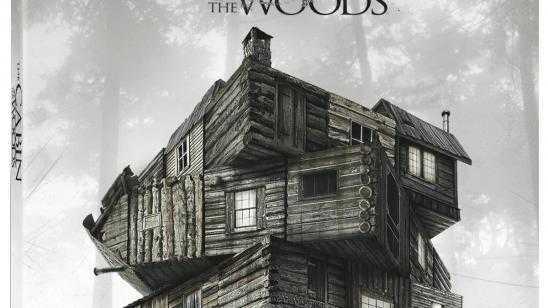 The Cabin in the Woods is available for the first time in 4K Ultra HD containing Dolby Atmos audio, more than four times the resolution of Full HD and previous Blu-ray Disc has included as well as a Digital Copy. It also has High Dynamic Range (HDR) which will help to give us the brightest realistic colors that are vivid. The bonus features from the previous Blu-ray is seen in the 4K Ultra. Full Disclaimer: We received The Cabin in the Woods 4K + Blu-ray from Rebecca @ TeamClick. Thanks for this opportunity and rush delivery of this product. Official Synopsis: Five teenagers head off for a weekend at a secluded cabin in the woods. They arrive to find they are quite isolated with no means of communicating with the outside world. When the cellar door flings itself open, they of course go down to investigate. They find an odd assortment of relics and curios, but when one of the women, Dana, reads from a book, she awakens a family of deadly zombie killers. However, there's far more going on than meets the eye.